SO excited to share this company with you today! I have a gift for you that every single person you know should Love! A unique form of alphabet art is the process of photographing everyday objects that resemble letters of the alphabet, then arranging the photographs in a collage to create any name or word. Choose from over 1,000 unique letter photos from around the world! I could not wait to get started picking out my custom frame! I chose the letters to spell out my last name and they instantly picked photo letters to insert for me. I clicked each letter to change so that I could give it my own personal touch. As you can see…I did a Nautical theme and picked letters that had to do with water. I have to tell you that when I opened this box after it was shipped to me I could not stop raving about it. When someone stopped by, I made them come in and look. Not only are the photographs themselves as cool as can be, but the Chocolate Frame around it was stunning. I could not keep my eyes off of it. Can you see it above your fireplace? Or maybe one in your hubby’s office? Endless ideas! They also have Christian Inspirational Series where part of the benefits sold go to an organization they cherish. 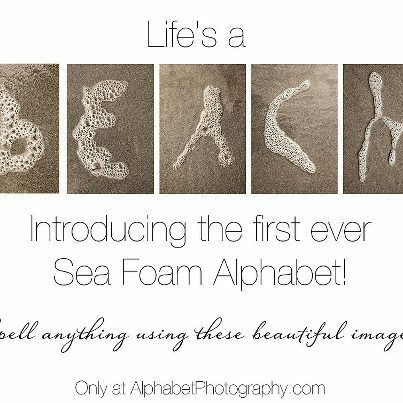 Their newest photo letters are the Seafoam Letters…I will be Pinning this to my board For My Dream Beach House…because one day it will be on my wall in this home! Visit Alphabet Photography to see what you would create. This will allow you to buy a Personalized Float Mount frame or credit to use towards anything! This giveaway will end on Nov. 22, 2012 at midnight EST. Winners will be drawn via rafflecopter. Once a winner is drawn I will contact them and they will have 48 hours to reply before I draw a new winner. Giveaway is open to anyone in the US and you must be 18 years of age or older. Giveaway not affiliated with Facebook & I release them of liability. Winner will be posted in the rafflecopter widget. The letters are so neat. I would love to win this frame and put "Faith" in my living room. 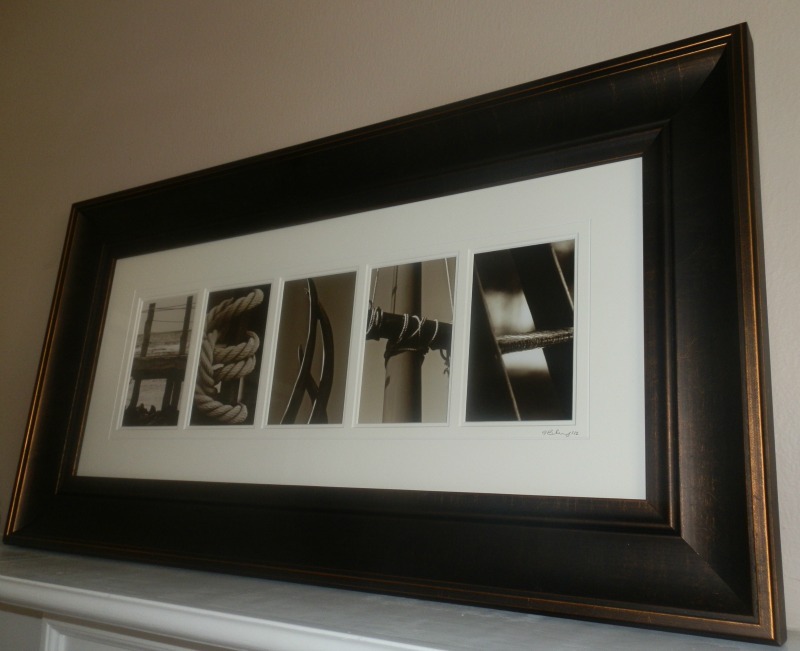 Your photos and frame are gorgeous! I woul have to think long and hard about what to get. I probably would not spell out our last name but maybe a word that was meaningful to me or one of my kid's names? All the options look so lovely! i love this. i need some more art or photos to hang on my wall! this would be great. This is such a cute idea! 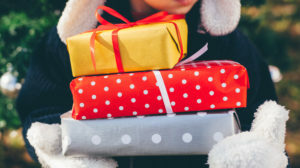 Is it wrong that I want all the gift guide giveaways for myself if I win? I would like to get one to hang in our family room. Very cute idea and such a fun gift! I would get one with my last name! That is TOTALLY AWESOME!!!! Love it!!! tried out my last name in rustic---it looked really good! This would be so fun! I need some cool alphabet pictures in my hallway! Those are really neat. Although, I was a bit slow in realizing your family name was the first word. LOL. Love this idea of spelling words with photo art! I went on the website and played with the letters. Cool. These are gorgeous! I'd love to get our family name framed in the front hallway. I would make a wedding gift for my son who is getting married next year. LOVE these! Made one for dh's office and really want one for the house! i would love to make my own sign. love these! These are so pretty and unique! I haven't seen anything like them before. I LOVE it! I would totally get the family name for our living room! I think they are just AWESOME!! I would love to win this one! I would use the gift card to purchase an alphabet photo for my husband's Grandparents. I think it's a cute idea, I clicked. LOVE it. I'd probably get our last name. 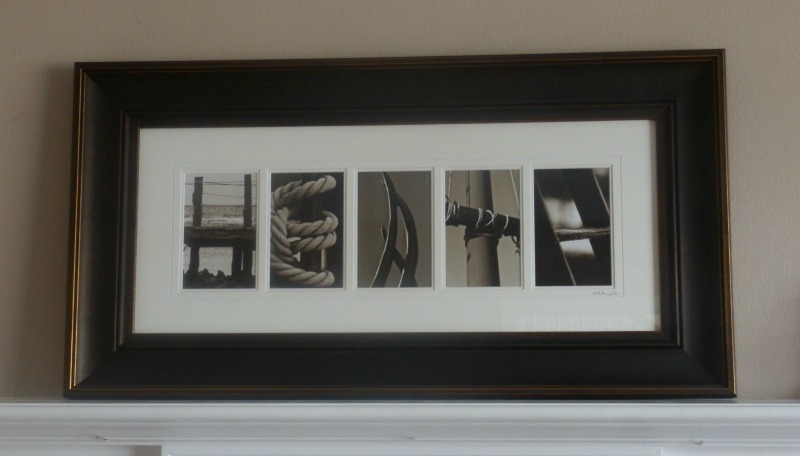 Love Alphabet photography and the different choices of letter photos available! Love these! I actually had this as an idea for my in-laws for the holidays. Thanks for the chance to win! I love it! Why didn't I think of something like this? lol. It is very unique and I would love to have one. These are so neat! I would love to get some for family members for Christmas. I like the pre-made words also. what a great gift for the family. Would love this in our hallway. I will use it in the baby room. I love this. I would get my fiance's last name- it means alot to him because he's the first person with his last name born in America. Thanks for the giveaway! I've always wanted one of these! I'd get our last name and put it in our living room! Wow - what wonderful ideas! I'd love to get one of these made! I checked the site. This would be perfect for my grandma in the nursing home. I love this sponser. I have wanted to have one of these made for the longest time. As always, you find the best prizes to give away to your fans! I would probably spell out our last name. I think these are gorgeous! What a great talent! I love this!! these pictures are pretty neat!! Awesome, I'd love to get one of these with our last name! My cousin bought one of these for my grandparents with their last name on it. It looked really nice. I actually really like the colored letters from signs. I'm thinking something fun for the kid's bathroom! I think something with our family name. I love their stuff! I love this idea and would get my Niece's name I think and give to my sister-in-law. These are beautiful! I would pick something like "family" with the GC. I love the alphabet photography; I've seen a friend's last name done and it is awesome. Would love this idea for the new addition to our family who will be arriving in 2 weeks (or whenever baby wants to get here!). I will have our last name made into a pic. I love this, it is so unique and a conversation piece. I would love to get one with my last name...These are so awesome! Would love to get one with my maiden name and give to my father for Christmas. I love all that they have to offer! I could have so much fun picking out new frames and such! LOVE them! I've been wanting one of these in our last name. i love these - have been wanting one! I love the letter J photos. These are so fun! You could do a first name or last name, the room you are entering (ie Kitchen, bath), baby, endless and truly unique to your likings. I would either do one with my daughter's name or our family last name. Would do one for my grandmother using her nickname that just so happens to be my first name. I LOVE this!!! They are so cute. 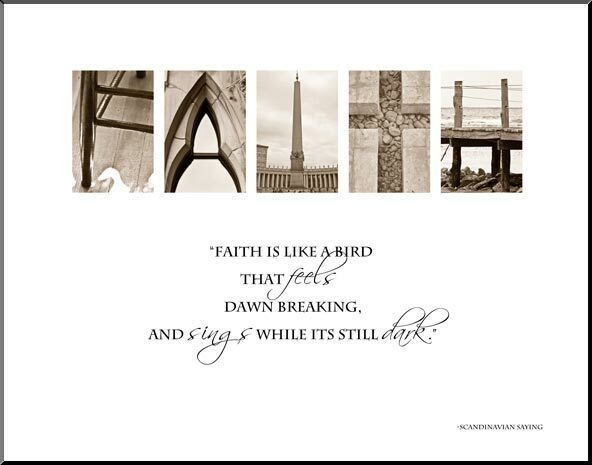 I would get the faith print! I just got married and this would be the perfect way to show off my new last name, those photographers are so creative!! These are so beautiful! Thanks for the chance. I love these beautiful designs. Thanks. These are really unique, I would do something for my wedding, the date maybe? If I won I would use it as a Christmas gift. I would have my last name in the letters and put it my front window.